Established in 2002 and headquartered in Hanoi, Vietnam, Dai Huu supplies packaging solutions to customers all around the world. 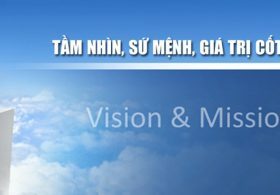 Based on a business philosophy and commitment to pursuing perfection and long-term development, after 14 years of operation, Dai Huu has proudly become one of the most prestigious and well known packaging manufacturers in Vietnam. Our product portfolio is comprised of wide range of plastic bags including the traditional PP woven bag, PE interlining, inside-laminated bag and most recently the BOPP back-seal bag. As quality always remains our top priority, in recent years Dai Huu has been invested heavily in modernizing production lines with a view to raise capacity and reduce production lead time. With efficient management, skillful labor force and unique expertise we can guarantee the best-quality products can be delivered in shortest time and at lowest cost. As a result, we have been successful in building mutual trust and strong relationship with our customers. We are now main supplier of many animal feed brands such as CP Group, De Heus and fertilizers manufacturers as well as agricultural exporters in Vietnam. We have also entered major foreign market including the US, EU, AZ and Asia and gained customers’ confidence and credibility worldwide. Based on a strong foundation, Dai Huu has expanded into other business fields like raw material and agricultural product. 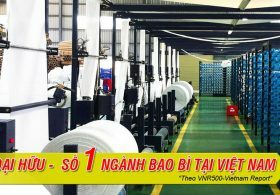 Last year Dai Huu ranked 8th fasted growing domestic enterprise, a reward to the endless effort to satisfy our customers and the recognition of our reputation as top plastic bag manufacturer in Vietnam. With strong commitment to the packaging industry, Dai Huu will always keep moving forward together with the sustainable development and prosperity of our country.